Parth Plastic Industries, an ISO 9001 : 2008 company, has been in operation since 1991 manufacturing products like Polyproplene, PVDF and High Density Polythylene Ball Valves, Diaphragm Valves, Non-return Valves, Foot Valves, Flow Indicators, Y-Type Strainers, Pipe Fittings and a host of other accessories in various sizes, the maximum being 630mm. 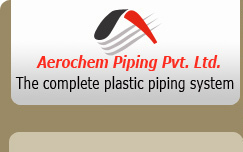 The company has now expanded with its new venture, Aerochem Piping Pvt. Ltd. 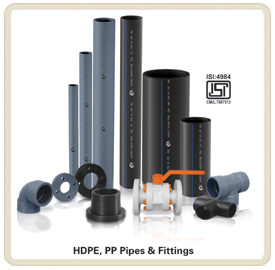 It's a name that signifies quality with accuracy in the area of Polyproplene and High Density Polyethylene (HDPE) pipes, manufacturing them under the brand "Aero" Pipe. The expansion is a mark of hard work and persistence of the company. Aerochem Piping Pvt. 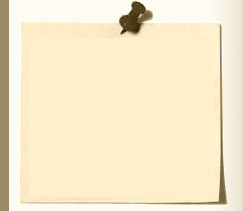 Ltd. is a dynamic name symbolizing quality and accuracy. 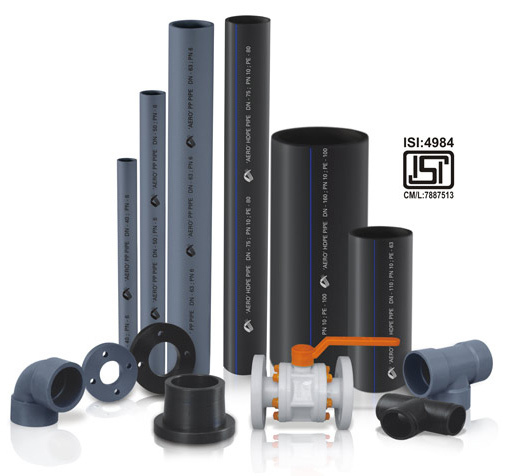 "Aero" HDPE Pipes are manufactured as per IS 4984: 1995, ISO 4427, DIN 8074, up to 250 mm in all pressure class manufacturing from material grade PE 63, PE 80, PE 1 00. Also, planning to get another standards like IS: 14151 & IS : 14333 within very short period.